Everyone needs storage space in your house, so that's why the Pulaski Ethan Hall Chest and Storage Cabinet is the perfect piece of furniture for your home. You can place this chest in a bedroom and use it as a dresser for your clothing and jewelry or you can put it in a common living area as a decorative piece. If you do place it in a living or family room, you can put old photo albums in them. In addition to its practicality, as a decorative piece, it features a reclaimed wood look giving your home a rustic look that any home could use. 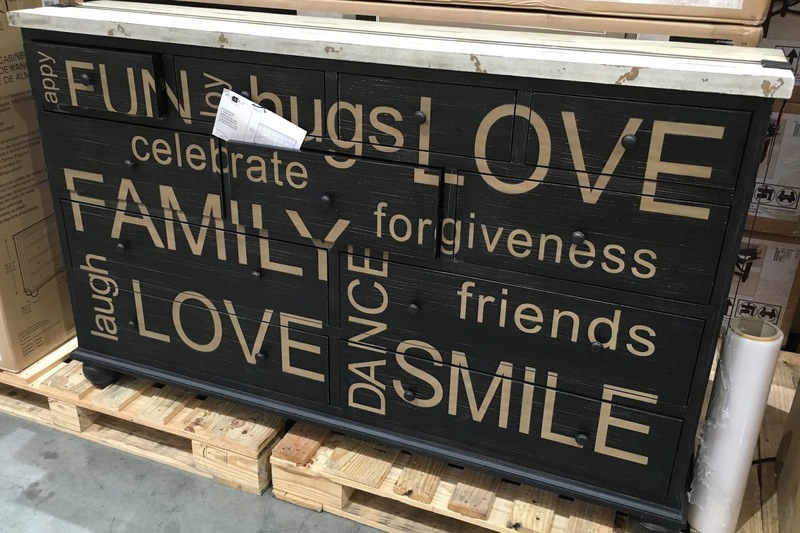 The chest even has positive words written on the surface giving your home an happy and uplifting presence. Go out and get the Pulaski Ethan Hall Chest and Storage Cabinet and make your home that much more cozy and warm. Had a party over the weekend and everyone loved this piece. It's nice and brings in warmth to the room! Hello @Nigel, I'm glad to hear that you're really liking the Pulaski Ethan Hall Chest and Storage Cabinet that you got from Costco. You're absolutely correct about pulling the trigger on an item you see and like at Costco. A lot of Costco's products are seasonal and are only available for a short period of time before they are removed from the sales floor. This is especially true for furniture. You know what's funny is we just checked this out again at the store and it dropped in price to $229!! What a steal. I talked with the manager and they said they were not selling well at all, which is honestly very surprising to us... anyways. Not sure if that is just in our area or all over but that's a super deal now. I'm half tempted to buy another one and give it to my parents at that price! Hello again @Nigel, I guess Costco's struggle selling the Pulaski Ethan Hall Chest is our gain. If you do get it for your parents, you definitely won't have that regretful feeling of missing out on a really good deal. That and I'm sure your parents will love that chest given how much you love your piece. I'm looking to buy one of these and they seem to be sold out in Michigan and Ohio. Any idea where I can get one? Hello @Jamie, unfortunately I don't have any additional information regarding the availability of the Pulaski Ethan Hall Chest and Storage Cabinet at other Costco locations and other places that are not Costco. I just spotted it at the Costco in Foster City, CA. I hope you're able to find it somewhere though since it's a rather nice chest. Good luck! Got one today at the Brokehaven Costco in GA, $149.97, last one. 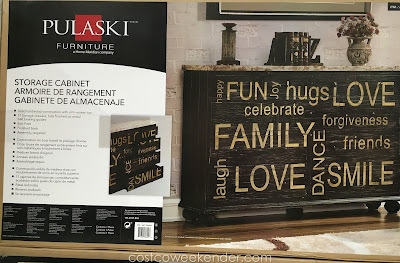 Hello @Anonymous, it sounds like you lucked out getting the last Pulaski Ethan Hall Chest and Storage Cabinet at the Costco in Brokehaven, GA. Not only that, but you got it for a really good price too. I hope you enjoy it! Anymore costcos have these available? 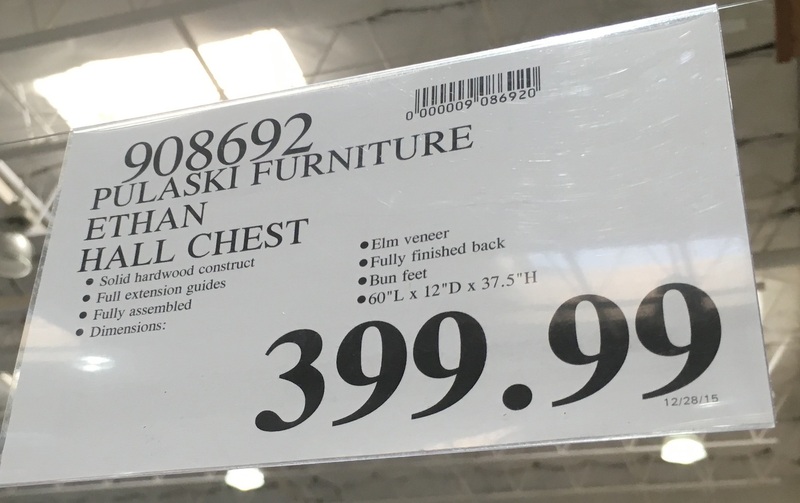 Hi @Luis, ever since I saw the Pulaski Ethan Hall Chest and Storage Cabinet at the Costco in Foster City, CA back in early January, I haven't seen this piece of furniture at any of the other Costco locations that I frequent. I think Costco has been marking these down in the last few weeks trying to get rid of the last of them in order to make space for other products.